Founded in the heart of Cajun Country in Baton Rouge, Louisiana, PreSonus boasts an extensive team of passionate musicians and sound engineers with ample experience in hardware and software design. Consistently at the forefront of digital audio applications and recording technology, PreSonus mixers, audio interfaces, microphone preamps, monitor speakers, and their flagship DAW, "Studio One" find themselves in home studios and professional outfits everywhere, an integral part of new, groundbreaking music worldwide. Always in sync with the exciting pulse of the audio landscape, PreSonus continues to incorporate the newest technologies, collaborate with forward-thinking experts, and expand their presence further into live sound, mobile audio, and software. Founder Jim Odom is now the President and Chief Strategy Officer at PreSonus, Brian Smith holds the title Vice President of Engineering, and Rick Naqvi is the Vice President of Sales. Both Rick and Jim shared their valuable time to lend some of their own personal histories and philosophies — and added some behind-the-scenes insights — into what makes a PreSonus tick. In a word? Music. Founder Jim Odom began playing guitar at age 10, after laying claim to a guitar in his father’s closet. After playing in local bands and studying jazz guitar, Odom was awarded a Downbeat Magazine scholarship to attend the Berklee College of Music in Boston. Jim Odom picks up the story, “I left Boston to study at Loyola University in New Orleans — mostly big band jazz music. I left music college after two years and joined RCA Recording Artists, LeRoux, where I was first introduced to making professional recordings [still on vinyl at that time]. I went on to work with many great artists in studios in Louisiana, California, and Florida.” Jim Odom’s musical and studio talents have earned him two Ampex Golden Reel awards, and credits for two RIAA certified gold records — and one platinum. Vice President of Marketing Rick Naqvi picked up the guitar at age six and has never put it down. As Rick explains, “My first gig was at the Middle School Talent Show in the 7th grade; ‘Tom Sawyer’ was the first song I ever played on stage. I still play regularly with an eight-piece funk band called Phat Hat (www.phathatband.com), and also at my church.” Their dedication as working and performing musicians has given the PreSonus team the talent and insight to make the satisfying products today’s artists need. Introduced in 1995, the DCP-8 was the first product from PreSonus. With a list price under $1000, it was an instant hit – even before production began. Jim Odom told us a bit about the creation of the DCP-8, “In the early 90s, I was mixing a lot of records on top-of-the-line SSL [Solid State Logic] and Neve recording consoles, all with fabulous automation, compression, and gating on every channel. Then came the ADAT … and the Mackie 8-bus mixer. The DCP-8 was invented to add automation, compression, and gating to every channel of a Mackie 8-bus console, via the insert points – an upgrade to those boards, which sounded wonderful. We brought the first two prototypes of the DCP-8 to the Winter NAMM Show in 1995 and received a ‘Top Ten Products’ award from technology guru, author, and publisher Craig Anderton.” At a time when analog recording was giving way to Modular Digital Multitrack (MDM) recording, ideas of compression and limiting needed to be re-evaluated to suit the medium. In both cases, keeping the levels high could improve resolution, but digital distortion is notoriously harsh, so it needed to be kept in check. The DCP-8 proved to be the ideal assistant to the early digital recording pioneer, allowing for automated dynamic, level, and mute controls – in addition to automated noise gates. The DCP-8 featured 100 programmable user locations; each program could be named, with the name displayed on a two-line, 16-character screen. This may seem obvious today, but at the time, it was fairly innovative, and helped set the stage for how important a clean and compelling visual user interface would be for PreSonus products in the future. The product also earned a patent for allowing MIDI control (a digital protocol) over analog circuitry. Close on the heels of the DCP-8 was the MB-8 meter bridge accessory. The MB-8 provided eight pairs of input signal and gain reduction meters, each composed of 10 bar-graph elements. With the success of the DCP-8/MB-8 combo, PreSonus was off and running. In 1999, the growing company relocated to the expansive Baton Rouge Bon Carre Technology Park. The DCP-8 had helped to define PreSonus as the company that could create high-performance audio hardware products to enhance and improve the project, personal, or professional studio. The Modular Digital Multitrack format and the coming of age of the computer-based DAW (Digital Audio Workstation) showered the audio artist with newfound opportunities for their sonic creations. PreSonus was the company that filled in the missing links and taught all manner of equipment how to play nicely together in the studio. Back in 2000, one area that needed attention was the quality of the microphone preamps available on the lower-cost mixing boards that were now coming into fashion. 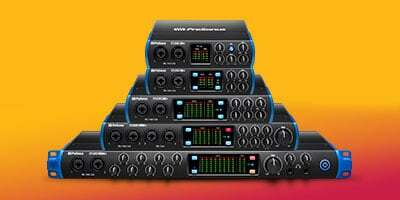 That year, PreSonus introduced the DigiMax™ line. The DigiMax placed eight premium-grade microphones pre-amplifiers in a compact rack-mount format, and equipped it with the ADAT light-pipe optical output. Now it was possible to connect a microphone straight into a high-order mic preamp and to then send the clean, digital output straight to an ADAT recorder. Next up were a series of multi-channel digital audio interfaces that communicated with computers, DAWs, and other studio equipment via a FireWire connection – notably the FireStation, FirePod, and FireStudio™ models. Proven interface expertise with the latest formats and protocols helped keep PreSonus at the top of the interface market. 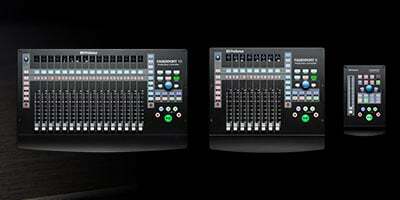 PreSonus was first to support the mLAN (Music Local Area Network) format developed by Yamaha, as well as being an early supporter of the Roland R-Bus format. Work continued on creating premium microphone preamps, leading to the XMAX™ solid-state Class A preamp, the tube-driven ADL 600 preamp, along with the ADL 700 full mic-pre and channel strip. Another useful innovation from this time period was the PreSonus Central Station, providing convenient control for real-time studio monitoring and offering a built-in talkback module for clear communication in the studio. Studio One is more than a DAW. PreSonus calls it their “Creative Music Environment.” And while no product can be all things to all people, PreSonus remains focused on supporting Studio One as a platform that serves the creative consumer from start to finish. Studio One is fully compatible with industry-standard AU, VST2, VST3, and ReWire add-on/plug-in audio effects and instruments. PreSonus created the Mai Tai polyphonic modeling synthesizer and Presence XT sampler specifically for inclusion with Studio One, and the Presence XT engine can open and use EXS, Giga, and Kontakt libraries. PreSonus partnered with Celemony to create the included Melodyne 4 Essential, providing precision pitch correction, re-timing, and creative editing. The online PreSonus Marketplace is always available for new instruments, loops, and other content. Notation programs from PreSonus include Notion, providing page-to-stage music scoring, as well as playback with a sophisticated sample engine for hearing the work performed exactly as it is written, using some of the finest instruments and performers anywhere. Focused more on the musician than the composer, the PreSonus Progression package creates excellent lead charts and sheet music using keyboard, drum pads, or fretboard note-entry tools. The expansive Studio One Export options and the Professional Project page allow mastering and distribution to the online world, instantly. Files can be exported in WAV, FLAC, MP3 and other formats, or burned as a Red-Book compatible CD. Plus, the Project page allows the addition of meta-data such as album artwork and full liner/production notes. Finished pieces and musical ideas can be shared with fans and collaborators directly to SoundCloud. Supporting a constantly expanding user base of dedicated customers is a priority for PreSonus. The company website is brimming with information to assist the consumer — demo videos, technical articles, manuals, tutorials, software & driver updates, and even materials for music educators are all available online, 24/7. But sharing knowledge is a two-way street. The website also contains an “answers” forum, where users can communicate with each other to share and swap applications and know-how; notes and videos from real-world users are also available. A website is one thing, but how about some old-fashioned face-to-face interaction? PreSonus schedules a number of Road Show events in conjunction with local dealers or meetings. The annual PreSonusSphere conference kicked off in 2011 as method of achieving a higher-level of interaction between the end users and PreSonus corporate officers, engineers, and specialists through a variety of informative seminars, concerts, and other programs. Rick Naqvi explained his thoughts on the company’s efforts, “Our marketing is very simply the art of relating with customers and speaking their language. They want to see marketing that really answers the question, ‘If I buy this products, what will be my experience?’ In addition to the company website, there are Facebook pages for StudioLive users and other social media avenues available for fans of PreSonus. Again, Rick Naqvi, “The social media aspect is huge for us. We never want to be known as a company that is unapproachable or faceless. Being in touch with customers on social media and on the street allows them to know that we hear them, and that we actually WANT to hear them.” PreSonus is dedicated not only to supporting their products and creating a community, but to supporting the individual PreSonus creative consumers as well. In 2012, PreSonus acquired Nimbit®, an online direct-to-fan music marketing sales and promotion service. Redesigned in 2014, Nimbit continues to operate as an independent, wholly-owned subsidiary. Through Nimbit, independent musicians and bands, venues, houses of worship, schools, and other institutions, can support their fan-based existence by accessing tools to manage events, sales, promotions, fan management, and email marketing utilities — and that is only scratching the surface. “The next frontier for PreSonus is the human connection via our mature cloud services, and that initially came through the Nimbit acquisition,” according to Jim Odom, who quickly added, “but watch for some mind blowing announcements regarding the world’s content and Studio One.” Rick Naqvi picked up on the theme, “There is so much great technology available to musicians today. We have found that by acquiring and partnering with other companies, we can improve the overall experience for our customers. With a start-to-finish production solution such as the StudioLive mixer, Capture recording software, and Studio One DAW platform, the missing link was an accurate studio monitoring system with superior sound. PreSonus debuted their original studio monitor active loudspeaker lineup in 2013. The Eris™ models were quickly joined by the Eris MTM models, based on a Midwoofer-Tweeter-Midwoofer speaker format that delivers a “best-in-class” listening area, or sweet spot. At the higher end, PreSonus introduced the Sceptre™ series, using the unique CoActual® single-point source coaxial design. This groundbreaking design created by David Gunness of Fulcrum Acoustics minimizes crossover gaps, improves time-alignment, and reduces phase errors for precise, fatigue-free listening. The Temblor subwoofers provided an extra bass kick to either series. PreSonus later introduced the R Series Active Monitors. The custom-created AMT (Air Motion Transformer) tweeter uses a thin folded Kapton® membrane with an inlaid aluminum voice-coil circuit to deliver unprecedented transient response and crisp, clear highs. The PreSonus Studio Monitor line has grown to include the Ceres Bluetooth compatible models, as well as headphones, monitor amplifiers, isolation pads, and monitoring controllers. The brand that created the StudioLive phenomenon now had an excellent line of Studio monitors; it was time to go Live. Borrowing the astounding CoActual technology from the Sceptre studio monitor series, the StudioLive AI active loudspeakers delivered a three-way, tri-amped sound reproduction system in a compact, high-performance package. Active Integration allows networking multiple StudioLive AI units via Wi-Fi, Ethernet, or a Dante (via upgrade) network — with control from a Mac, Windows PC, or iPad. PreSonus added innovative features to the ULT (Ultra Long Throw) models as well. The two-way cabinets are designed for horizontal or vertical use; the proprietary Pivot X110Horn can be physically rotated 90 degrees, assuring the maximum coverage in any venue. 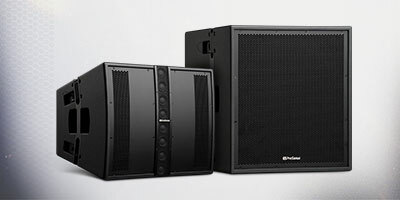 The AIR Loudspeaker Series rely on advanced onboard DSP processing to keep the sound, the speakers, the amps, and the cabinets operating efficiently and working together for superior sound. PreSonus acquired the established commercial sound-reinforcement company WorxAudio, and continues to offer the WorxAudio V-Series and WorxAudio Stadium Series professional speaker products to their commercial clients.